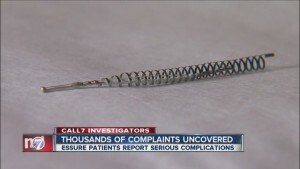 Was Essure approved using faulty data? 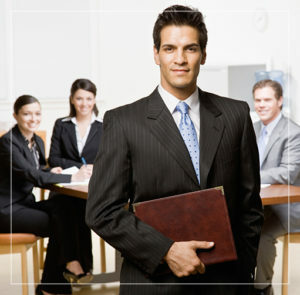 Findings may lead to lawsuits. 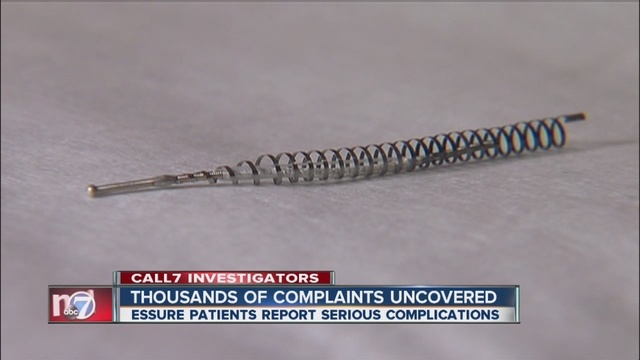 Was Essure approved using faulty data? June 9, 2016 –San Diego,CA. A new study published this month suggests many women’s health devices, including the Essure permanent birth control, were approved based on flawed data. The study, published in the June 2016 edition of the journal Obstetrics and Gynecology, looked at 18 high-risk women’s medical devices approved by the Food and Drug Administration (FDA) between 2000 and 2015. It found many of these devices – which pose the greatest potential risk to women – were approved using weak trial data. Essure permanent birth control, one of the most controversial health devices for women on the market today, was found to have been approved using short-term evidence and insufficient post-market follow-up. This paradox rang true for many other devices looked at by the study authors. Most of the devices identified in the study were for endometrial ablation (reducing menstrual flow), contraception and fetal monitoring. Of the 18 identified, only 11 (61 percent) were tested using the “gold standard” of clinical trial designs, randomized, controlled trials; six (33 percent) did not have to undergo post-market studies to show that they continued to be safe for women to use; and four (22 percent) did not show that they were effective during clinical trials but were approved anyway. Three of those 18 medical devices were eventually pulled from the market after their approval. Two of the devices pulled were never reviewed by the experts on the FDA’s Obstetrics and Gynecology Advisory Committee, and one was reviewed but not recommended for approval by the committee. These findings suggest that even the most high-risk medical devices, like Essure, are sometimes approved without much regard to the quality of data collected to determine their safety and effectiveness. Unlike new drugs, which are held to a much higher standard for approval, there are no explicit requirements about conducting randomized-controlled trials or post-market surveillance for medical devices, said Dr. Xu. The study authors suggest medical devices should be approved using more rigorous clinical trials than is currently required by law. Coincidentally, as clinicians and consumers cry out for more stringent regulations, the U.S. Senate is considering the 21st Century Cares Act – healthcare legislation that would reduce medical device regulation if passed. The bill has already made it through the House of Representatives. This is an especially worrisome prospect, considering devices like Essure were approved using today’s supposedly strict standards. If less strict standards were passed, what other dangerous devices will slip through the FDA’s already large approval cracks? Essure is a permanent form of birth control approved by the FDA in 2002. The device gained significant attention over the past year as thousands of women harmed by the device started speaking out and calling for its removal from the market. Its manufacturer, Bayer, maintains the device is safe and causes no significant problems for the majority of women who use it. According to the pharmaceutical company’s website, Essure has been used by more than 750,000 women worldwide. Essure consists of two metal coils placed inside a woman’s fallopian tubes during a short visit to her OB-GYN. The coils trigger inflammation within the tubes, causing scar tissue to form that blocks sperm from reaching and fertilizing an egg. Essure was marketed as a quick and easy alternative to getting one’s tubes tied. With Essure, there was no need for surgery and virtually no down-time because the device was inserted in less than 30 minutes in a doctor’s office. Thousands of women who had the device inserted would soon find out that Essure was anything but a quick and easy alternative. Device migration from the tubes to the abdomen, allergic reactions, perforation of the fallopian tubes, chronic pain, severe headaches, bloating, brain fog, heavy and painful periods, hair loss and unwanted pregnancies were just some of the many side effects associated with the birth control device. Nearly 10,000 women and their doctors submitted adverse event reports to the FDA about Essure between the time the device was approved and 2015. Roughly 70 percent of those reports included abdominal pain as a side effect; more than 30 percent listed headaches or heavy menstrual periods; and more than 20 percent included allergic reactions or other incompatibilities to the device. Many women who experienced severe side effects from Essure opted to have the device removed. But the “permanent” nature of Essure meant the vast majority of those women underwent hysterectomies to get the device out. More than 29,000 people now belong to a Facebook support group for women who had the device implanted and suffered from adverse effects. The group also advocates for removal of the device from the market – lobbying members of Congress and filing lawsuits against the device’s manufacturer. Since its approval, the FDA has issued numerous safety warnings about the device, including nickel sensitivity, unintended pregnancy, chronic pain and device migration warnings. This year, the FDA announced it would add a “black box” warning to the Essure label. Black box warnings are the agency’s strongest warnings short of a recall. The first lawsuit against the manufacturer of Essure was filed in a Philadelphia court in 2014. Even though the device falls under the FDA’s preemption provision, which says medical devices approved under the agency’s premarket approval program are exempt from product liability lawsuits, a Philadelphia judge allowed several lawsuits to proceed in court this past March. Since then, hundreds of more lawsuits have been filed by women harmed by the controversial birth control device. If you had Essure inserted and suffered serious side effects as a result, you may be able to recoup some of the medical, physical and emotional costs caused by the device. The lawyers and attorneys at Hood National Law Group are experienced in cases involving Essure. If you had the Essure device inserted and experienced adverse effects, call us today at 1-800-214-1010 for a free case evaluation. You can also use the form on the right-hand side of your screen.